Have you ever thought about going to Georgia, but you didn’t really have a reason to visit? Now, you can study at a reputable CELTA centre in Georgia. 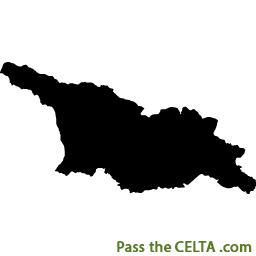 The CELTA centre in Tbilisi is an excellent base where you’ll learn the theory behind being a CELTA teacher while getting some excellent practice. Georgia’s an interesting place to visit. Described as the balcony of Europe, Georgia is home to some beautiful nature and very friendly locals, all who are excited to practice their English. If you’re looking for a combination of adventure and fun while doing your CELTA diploma in Georgia, you’ll have everything at your feet. Go trekking in the mountains, horse riding across the plains, enjoy a spot of bird watching, or wander around the country’s archeological sites.